Calling the punishment biased and predetermined, Umar Khalid said that they will be challenging the order in court. New Delhi: After Jawaharlal Nehru University’s high-level inquiry committee upheld Umar Khalid’s rustication and a fine of Rs 10,000 imposed on Kanhaiya Kumar in connection with the February 9, 2016 incident, Umar Khalid said that they would “challenge the order” in court. 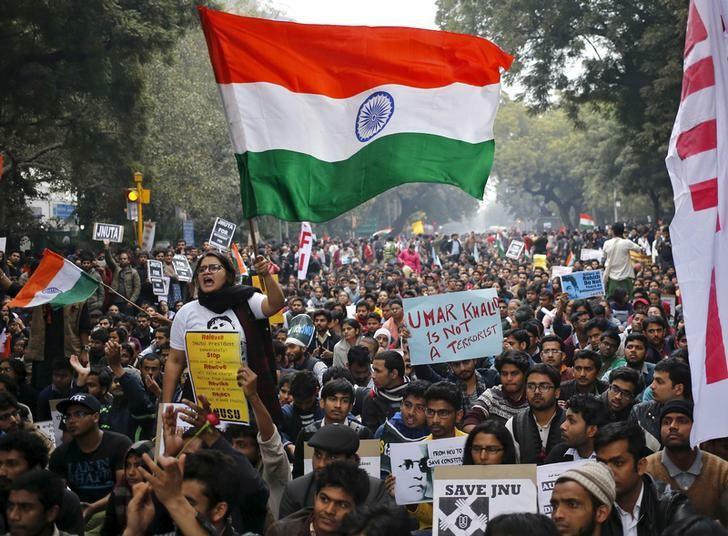 “We completely reject this order that has come from the JNU administration. Once again, it is a biased, politically motivated, a predetermined and a farcical judgment they have come up with. We are not accepting the fine or any other order, including the rustication. We are going to challenge it in a court of law in the coming days,” he said. “The predetermined nature of it is quite evident from the fact that this is the third time they have punished us, well this is the third time they have punished me in the last two years for the same alleged activities. The last two times, we had challenged it in the court and the court had set aside the punishment and ordered, both times, an appeal and a re-probe by the JNU administration,” he said. “We are confident that the court will once again set it aside,” he added. The JNU panel had in 2016 recommended rustication of Khalid and two other students and imposed a fine of Rs 10,000 on Kumar, the then students’ union president, in connection with the campus event against Afzal Guru’s hanging during which ‘anti-national’ slogans were allegedly raised. The five-member panel had also imposed financial penalty on 13 other students for violation of disciplinary norms.